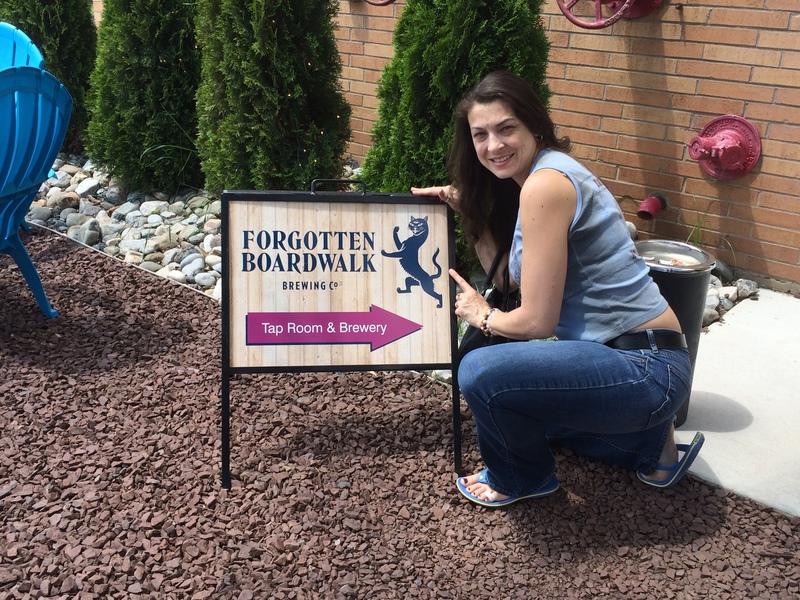 During my travels to taste various craft beers, I found Forgotten Boardwalk in Cherry Hill, NJ. 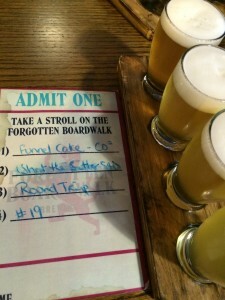 One evening in 2015 Dave came home with a new craft beer called Funnel Cake by Forgotten Boardwalk. Its’ style is a cream ale. It was smooth and creamy with a hint of vanilla. I liked the light, sweet beer because it was so different from what I was drinking. It was the first cream ale I had tasted in a long time. What the Butler Saw was equally enjoyable. It is classified as an undressed wit brewed with spices. As a wit lover, I was thrilled to find another one great option. 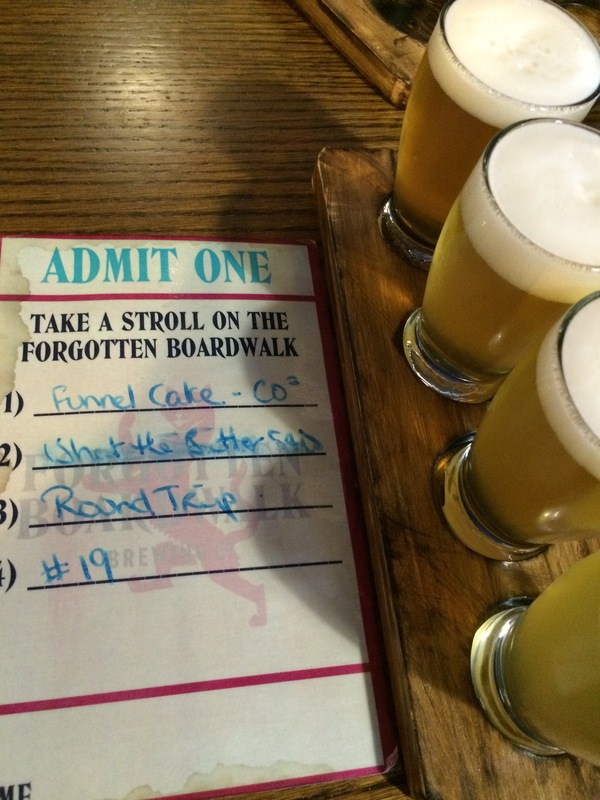 Round Trip is a hoppy saison. If you like a hoppier beer, this is definitely a good choice. Along my craft beer journey I have started to appreciate beers along this line but I realized during the tasting how far I still have to go. #19 is saison farm ale that I can’t remember that much about except it was very hoppy. I am not sure if it was a one off beer or if they have released by another name. All I know was it was way to hoppy for me to get through the sample. UPDATE: Since our adventure to the tap room, Dave and I have discovered Morro Castle. It a great smokey porter which successfully balanced out the various flavors in the beer. I would recommend this to anyone who enjoys a good porter. 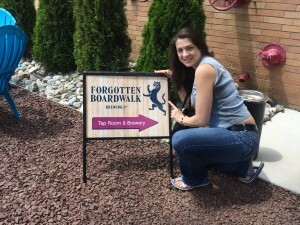 I am also thrilled that I have been able to find my favorites distributed on a more regular basis as it was difficult to find them in Northern NJ in the summer of 2015.